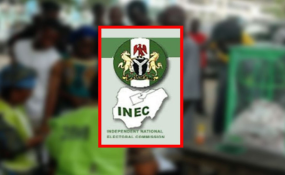 Abuja — The 61 Political Parties protesting againts the proposed electoral guideline scheduled to be released by the Independent National Electoral Commission (INEC) have said they will today file legal action to stop it's unveiling scheduled same day. The parties which argued that Section 155 of the Electoral Act empowers them to challenge INEC election guideline in court, said their move was aimed at nullifying the INEC election guideline for being in conflict with Electoral Act and the 1999 Constitution. While arguing that the 2019 pre-election crisis over INEC unilateral decision to issue guideline does not promote Election credibility, they had among other things, demanded that INEC retain the separate accreditation and voting system as used in 2015 to avoid confusing voters due to closeness of polls. National chairman Action Peoples Party (APP), who doubles as spokesman of the parties, Ikenga Imo Ugochinyere, said the chairmen of political parties decided to head "to court tomorrow (today) 14th January, 2019 to stop INEC from releasing the guideline and also quash some sections of the draft guideline which are in conflict with the provisions of the 1999 constitution including the obnoxious provisions inserted into the guideline which will lead to massive rigging of the 2019 elections. "The suit which will be filled tomorrow at the Federal High court by 10am have 4 National Chairmen of 4 Political parties suing on behalf of the rest of the 61 Political parties against the Guideline." According to their statement, the Plaintiffs (IKENGA Imo Ugochinyere APP party, Dr.sam Eke GPN Party, Nsehe Nseobong RP Party and Barr. Kenneth Udeze AA party) will be seeking for an Exparte Application for an injunction to restrain the INEC chairman from going ahead with the planned release of the guideline today. the grey areas contained in the guidelines to avoid the 2019 election running into a hitch and credibility crisis even before the day of election. Nigerian voters are fully familiar with and avoid creating confusion and loophole for massive tampering of result with the continuous/same time accreditation and voting. INEC recently tried the method in few re-runs but that is not enough to extend such voting method to all parts of the country few weeks to the election. "The demand of party chairmen is for INEC to continue the separate accreditation and separate voting system and ensure that at the end of accreditation across the country on election day, that inec polling unit staff first announce the total polling unit accredited figures and sign and issue out to party agents at the polling unit before commencement of voting thereby protecting the sanctity of the votes by securing the accreditation figures which if announced before voting and given to agents it will make post election and voting manipulation difficult because the accreditation figures are already out and riggers cant tamper with the election outcome or increase the votes again. "Other contentious issues are the flawed accreditation procedure which allows fake voters whose names are not on the voters register including people with fake PVC or voters not properly accredited been allowed to vote. "The party chairmen are currently mobilising more party leaders to move against the INEC chairman in the event that he goes ahead to issue out the guideline without the input of the political parties and without removing the obnoxious clauses which will ruin free and fair election. "The options on the table of the Political parties chairmen will not stop on tomorrow's court action but will include a vote of no confidence on the INEC chairman and the commison including a call to step down and a persona non grata declaration and mass protest to alert Nigerians that the 2019 election process have been manipulated," the statement added.